The Arena white Pressure full zip jacket is made of the same material as the Empyrean sweatshirt, 280gr brushed fleece polycotton. 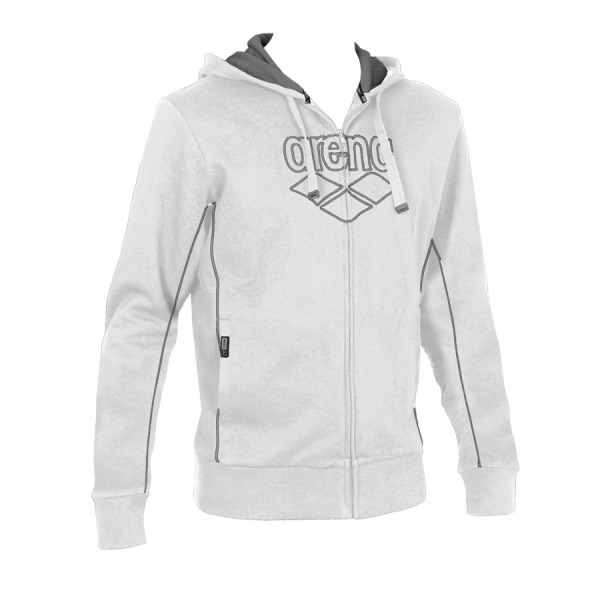 It features a large silver outline Arena logo and wording on the front and piping detail. 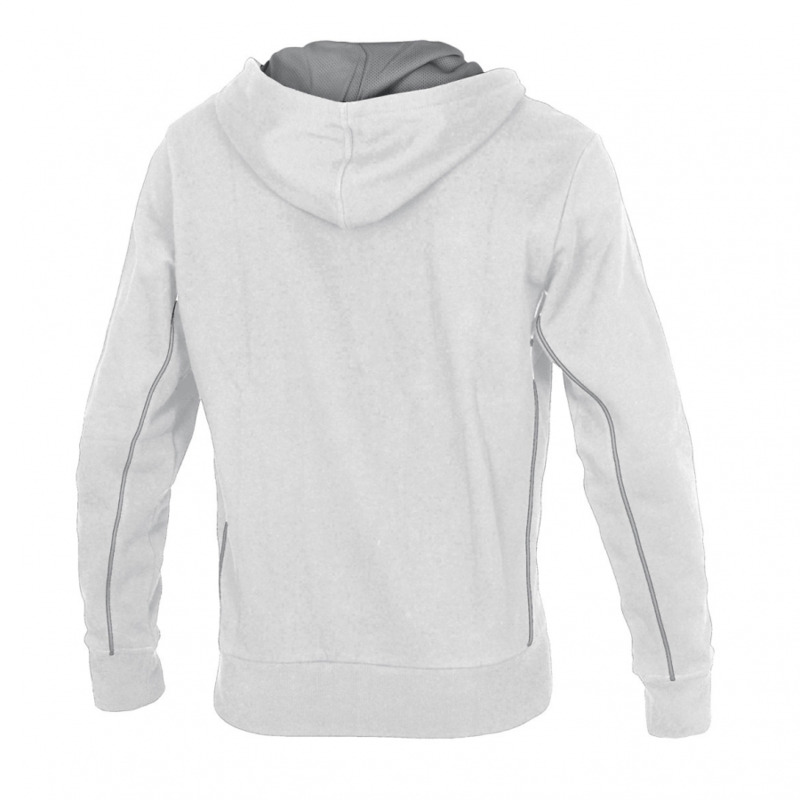 Like the essential sweatshirt, once you’ve worn it you’ll wonder how you managed without it! !